International House of Pancakes – Pancakes with a Purpose! 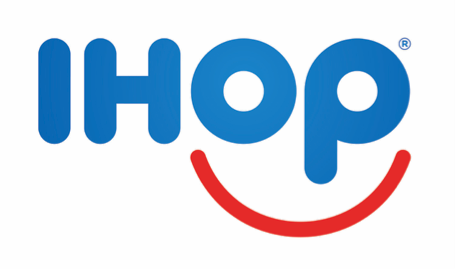 IHOP® (a client for more than 14 years) selected Wills Communications, Inc. to develop a National Pancake Day program designed to raise funds for Children’s Miracle Network Hospitals and other local charities, and raise awareness of and appreciation for IHOP as a good corporate citizen. We launched the effort as a satellite program in 2006, and in 2008 was charged with developing and managing the program on a national level. Wills Communications, Inc. has continued to oversee strategic planning and program execution for this significant national event each year, continually expanding strategic elements and overall program success. In addition to national and grassroots media relations efforts, our contributions have included developing a highly successful online contest, a celebrity-supported public service program, and a celebrity “wakeup call” campaign. On a local level, the agency has planned “pancake parties” at children’s hospitals and IHOPs nationwide and developed radio promotions. We have also managed media training for spokespeople in each market, planned and coordinated a media tour for Miss America (a program spokesperson), developed video and digital news releases, and more. In 2011, we generated more than 700,000,000 media impressions, with coverage from USA Today, The Today Show, Entertainment Tonight, most every major market daily newspaper, national magazines, and dozens of radio and TV stations. The program was also a top trending social media story. The 2011 campaign resulted in more than $44 million in publicity value. By 2015, IHOP’s National Pancake Day celebrated a Decade of Giving for the 10th annual tradition. The campaign gained the attention of over 60 million people across the country, bringing the total of funds raised for local hospitals to nearly $20 million in the last 10 years. © 2019 Wills Communications. All rights reserved. Sitemap. Website by The Graphic Element.